Feb 01 The recently released film Manikarnika, a grand ‘tribute’ to the warriors of the Battle of Jhansi, reduces Dalit freedom icon Jhalkaribai Kori to an item number and a mere footnote in history. So fleeting is Jhalkaribai’s mention in the film that if you are distracted for a few minutes, there is every possibility that you will miss it. But, who is Jhalkaribai Kori and why is she important? If you are not a specialist in modern Indian history or an expert on Dalit literature, or simply not familiar with subaltern historiography, it is possible that you have never heard of Jhalkaribai. You may ask: If she was an important character in Indian history, why is that we never read about her in our history textbooks? Why did none of our school teachers tell us about her? Why is no TV serial made on her accomplishments? That’s because Jhalkaribai has been mostly ignored by official history textbooks and has been denied space in popular culture. Actor Ankita Lokhande, who plays the part in Manikarnika, said that she didn’t even know who Jhalkaribai was before she was approached for the movie. In the last few years, some token steps have been taken but their reach has been limited. They have failed in bringing real awareness among people about this Dalit icon. 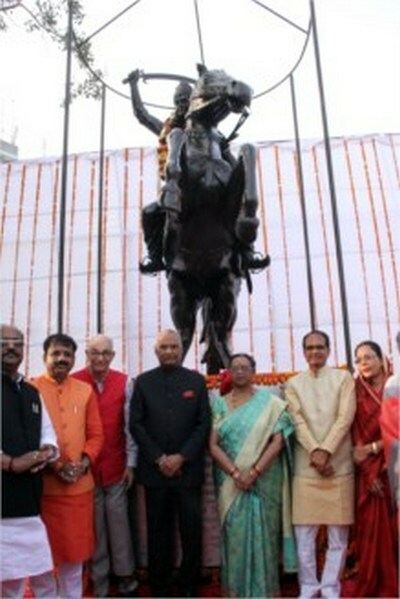 In 2001, the union government had issued a postage stamp in Jhalkaribai’s memory and more recently President Ram Nath Kovind, who also belongs to the same Kori caste, unveiled her statue in Bhopal. Some statues of Jhalkaribai have come up here and there with the rise of the underclass in UP politics, and a few schools, colleges, polytechnics and ITIs have been named after her. But that is not enough. 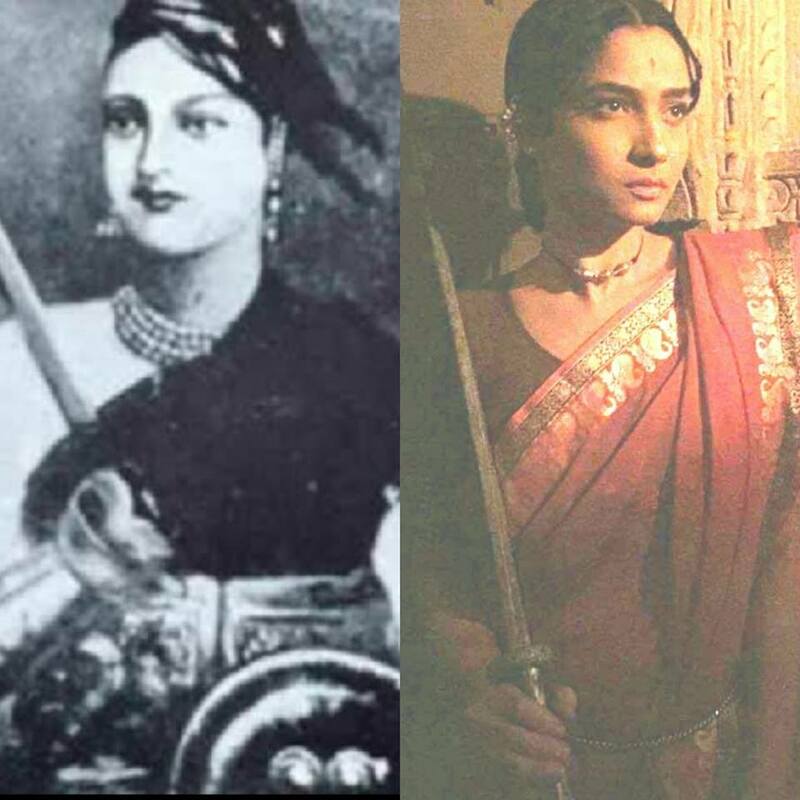 On that count, the makers of Manikarnika prove to be a little more benevolent to Jhalkaribai than textbook writers. So, scriptwriters have given her space, but only for five minutes. She gets an item song and a short battle sequence against the British forces. Captured by the soldiers, she detonates the sack of gun powder she is carrying and dies killing many British soldiers. In Manikarnika, Jhalkaribai’s lower caste origin is depicted in a very subtle manner. When Laxmi Bai, the Rani of Jhansi, visits Jhalkaribai’s village after rescuing a calf from the British soldiers and asks for some milk, the latter offers her a glass by placing it on a stool. Laxmibai asks her if this is how she treats her guests. Jhalkaribai then hands her the glass of milk. Like any other period film, the element of fiction prevails in Manikarnika too, and one option before us is to just ignore the subtleties and enjoy it as a costume drama. But, we must not forget that popular cultural depictions play a role in creating imagined realities. Scholars have even found a correlation between the TV serial Ramayana and Ram Mandir movement. We know the account of what happened inside the Jhansi fort during the battle of 1857, thanks to a book authored by a Brahmin writer Vishnubhat Godse. He wrote the travelogue Majha Pravas (My Travels) in Marathi, as an eye witness. Through his book, we know who fought the battle and who escaped from the fort. But it is a hagiographic account of a Brahmin warrior queen. As history is almost always written by the dominant class and the victors, we know only a part of the story. 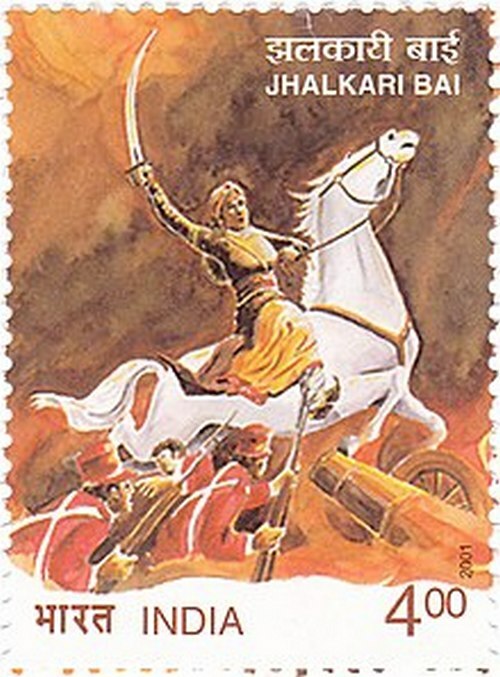 Rani Laxmibai was lucky in the sense that although she lost the battle, her valour was chronicled and later recorded in countless movies and history books. But Jhalkaribai was not so lucky. Born into an untouchable’s house, she had no Godse who could write her story, and no one to devote a chapter to her in textbooks or to make a biopic on her life. The film Manikarnika shows that Rani Laxmibai fought for her adopted son Damodar Rao’s inheritance rights. This was her personal battle, as she says in the movie, “Mai apni Jhansi nahin doongi (I won’t give my Jhansi to anyone)”. In a letter to the East India Company, she pleaded with the British that her adopted son be accepted as the crown prince of Jhansi. Now, what if the company had accepted her plea? Nobody knows what the role of the great warrior queen would have been in the First War of Independence. Contrast this with Jhalkaribai’s situation: What was her motivation to fight? Was it her friendship with the queen of Jhansi? Or was it patriotism? Or was it the call of duty? We don’t know her side of the story. Like Jhalkaribai, we don’t know the stories of several Dalit icons like Uda Devi Pasi, Avantibai Lodhi, Mahiviri Devi, Asha Devi Gurjar who played a stellar role in the 1857 movement. It was in this scenario that Dalit writers, mostly not trained historians, started writing books, poems and plays depicting the accomplishments of Dalit women warriors. Dalit literature presents a different version of the Battle of Jhansi (not the Battle for Jhansi). – Translated from Hindi by Charu Gupta. There are nearly a dozen books on her. This is a different type of historiography—one that is challenging the mainstream. Why does the ruling party stop students from asking questions?